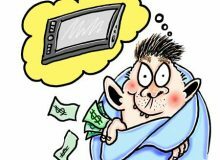 The benefits of a tablet monitor are different for everyone. There are so many, it’s hard to keep track. It’s not a computer – just an extension of your existing computer’s monitor. 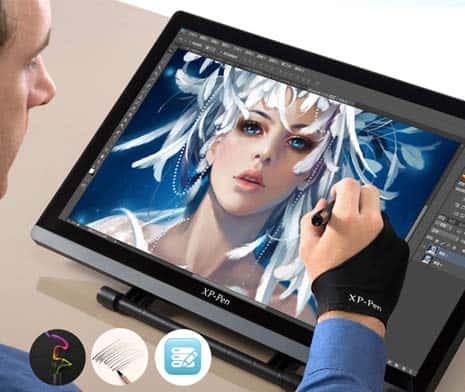 Connect the tablet monitor to your computer, and use the stylus pen to create your illustration. It’s that simple. 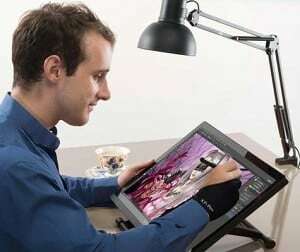 With its ergonomic design, this 20.5” x 12.7” monitor makes spending a few hours drawing a comfortable experience. 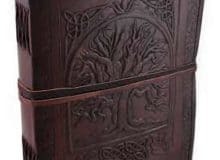 A small kickstand is attached to the back. Adjust the tilt so it’s at a comfortable level with a total display area of 18.7” x 10.5” along with a full-viewing angle of up to 89°. It stays in place due to the rubber covers on the base of the screen and the brackets which give it more stability and anti-skid capability. The LED light helps to reduce eye strain. 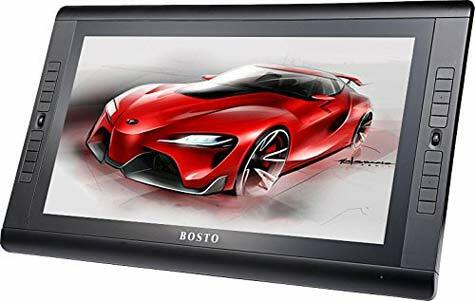 Your drawings will jump to life on this graphic monitor that has 16MS TFT LCD panels which provide high definition resolution of 1920 x 1080 pixels. 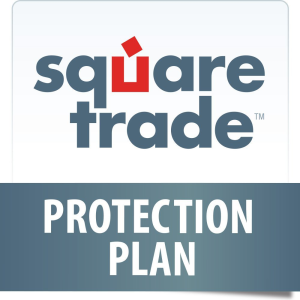 The screen is shockproof, has an anti-scratch coating, and a screen protector is included. Choose from TVGA, HDMI, or USB interface connections for portability. There is no system within this monitor, so it’s necessary to connect to a computer. 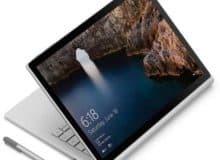 Draw directly on the screen with the stylus, and upload it to your computer. It comes with two rechargeable stylus pens. Use the one-click toggle function to switch between the pen and eraser function. 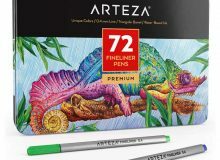 It senses up to 2,048 different levels of pressure so you can make fine smooth lines or thicker bold lines. It supports Windows XP, 7, 8, 8.1, and Mac 10.7.0 or later. 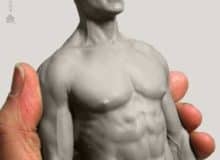 It’s compatible with multiple graphic software applications such as Adobe Photoshop, Illustrator CC, Autodesk Sketchbook, Corel Painter, Comic Studio, SAI, Infinite Stratos, 3D MAX, Autodesk MAYA, and Pixologic ZBrush. The package includes almost everything you need for one solid price. It’s energy efficient and environmentally friendly since it gives off very low amounts of radiation. The down side is if you already have software installed for another tablet, there may be issues between the different drivers. Measuring 20” x 12”, this monitor has an 18.7” x 10.5” display area. It also has 16MS TFT LCD panels which make for a high resolution of 1920 x 1080 pixels, and it senses up to 2,048 levels of pressure. It’s easy on the environment due to its lower rates of radiation and low power consumption. It’s compatible with Windows 2000/7/8/XP/Vista, and Mac 10.2.6 and above. Although it can sit propped up on a kickstand, it uses a silver articulating LCD arm that’s crafted from steel and aluminum alloy and capable of supporting 22 lbs. Use the rotation connector to get a 360° flexibility of movement with a pitch angle of 15° for depression and 75° for elevation while enjoying the 89° full-viewing angle. The LCD arm lets you switch between vertical and landscape views. It acts like a secondary screen to your computer, so you just plug it in and start drawing. There are multiple interfaces such as USB, VGA, DVI, and HDMI, and the cables are included. It has its own power source, so you have to plug the power adapter into an outlet to charge it. 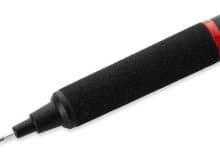 The stylus is lightweight since there’s not battery, but you’ll have to plug it in to recharge it. There’s no software installed, but it’s compatible with most existing drawing software. If you’re a touchy feely person, you’ll enjoy the hands-on aspect of this tablet monitor that utilizes a multi-touch function. 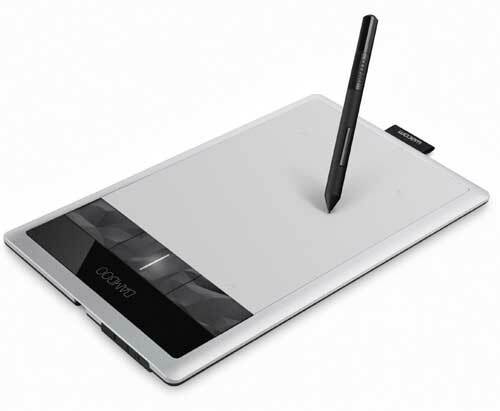 Work and draw directly on the screen simply by touching it. You can use one hand to zoom while the other uses the included stylus as a pencil, paintbrush, or marker. Making bold or petite lines is easy since the screen can sense 2,048 levels of pressure. The high definition screen uses 1920 x 1080 pixel resolution on its 13.3” active display area. Four express keys can be customized for shortcuts to save time. The ergonomic design lets you use it lying flat on your lap, or propped up on the detachable stand at 22, 35, and 50° angles. You won’t lose sight of the screen since it has a 178° viewing angle. 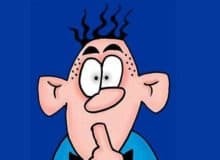 It can be used with Windows 8/7, Vista SP1, XP SP3, and Mac OSX 10.6.8 or later. Use the 3-in-1 USB cable to plug into your laptop or Mac, and it becomes a second screen. The 3-in-1 connector cable connects to an HDMI, USB 2.0 port, or an AC power outlet. It’s compatible with Adobe Photoshop, Illustrator CC, Corel Painter, Autodesk Sketchbook, plus more. The Pro Pen sleek carrying case holds the stylus and extra nibs, removal tool, and color rings to personalize it. While it does have a vast viewing angle, it may be bothersome for some users to be limited to only three tilted angles. It does have multiple interfaces available, but you’ll have to purchase video ports (such as DVI) separately. Sometimes wider is better. 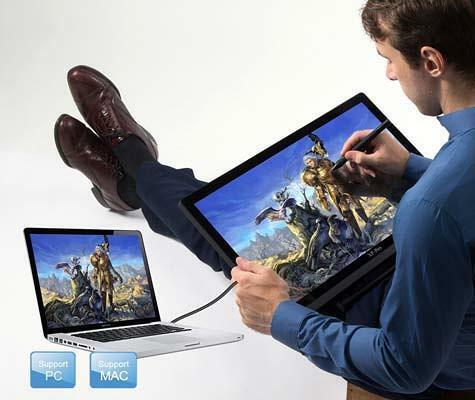 The Huion GT220 boasts an active display area of a 21.5” wide IPS screen to let you create illustrations. The high definition screen provides a wide viewing angle of 178° while allowing you to freely adjust the tilt to any angle you’d like. It has a resolution of 1920 x 1080 pixels for exponential clarity and brilliance. The screen responds to 2,048 levels of pressure so it can pick up the slightest movement of the stylus. The good thing is that the large screen provides a wonderfully enlarged working surface to create a bigger piece of artwork. The bad thing is that the cable ports are located on the bottom of the display so depending on the angle, the cords could interfere with stability of the screen. The lightweight IPS LED 21” screen has 1920 x 1080 high resolution pixels and is sensitive to 2,048 levels of pressure from the stylus. On the side of the frame are 20 buttons, 10 of which are programmable keys that you can customize for increased efficiency. The stylus does not need to be charged and comes equipped with an eraser on top. To tilt it to your preference, use the adjustable kickstand to angle it between 10 – 65°. Plus it can switch between vertical and landscape views. It doesn’t function independently, so connecting it to a computer is necessary. There are multiple interface connections with cables included. It can work with different graphic software applications such as Illustrator, Photoshop, Manga Studio, and more. It’s compatible with Windows 10, XP SP3, Vista SP2, 7, 8, 8.1, and Mac OS X, v 10.9.2 and earlier. You can’t go wrong with four interface options built into one tablet monitor. But the pen is cordless and battery-free so when it dies, it’ll have to be replaced. 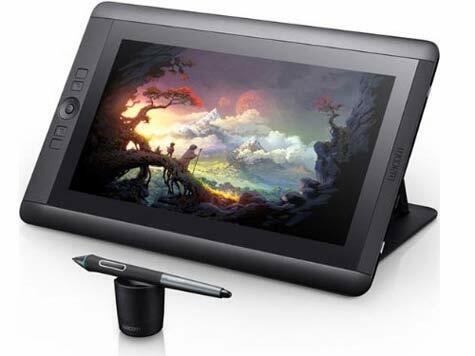 A high resolution graphic tablet monitor provides an easy way for designers, artists, and illustrators to create detailed digital artwork with stunning clarity, depth, and colors. 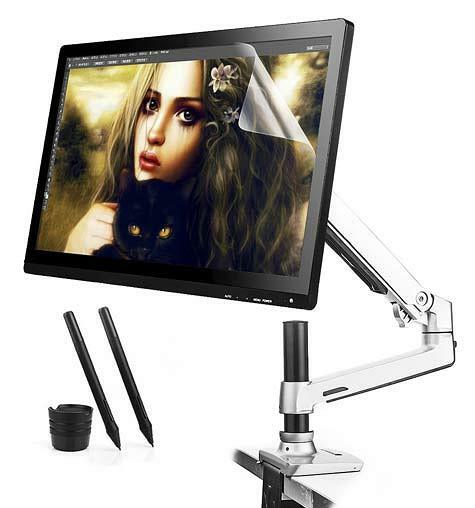 The XP-Pen® 22″ HD IPS Graphics Drawing Display is most affordable while including some nice extras such as multiple interfaces, two pens, and compatibility with a wide range of graphic software. The Ugee UG-2150 21.5″ Pen Display Tablet Monitor costs more, but the swivel arm is a definite bonus for the artist who needs mobility without sacrificing quality and resolution. 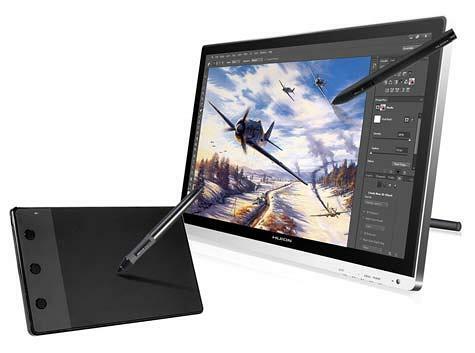 The ultimate graphics tablet is unquestionably the Wacom Cintiq and even though the screen size is smaller the quality of build makes this a cut above.